Howdy y’all! 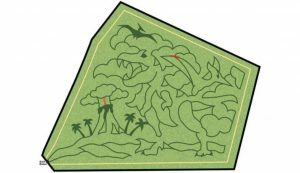 We are excited about the new 2018 theme… DINOSAURS!!! That’s right, you will travel back in time through an a’MAZE’ing adventure. You, your friends and family will have a DINO-MYTE time and explode into laughter. Check out the maze below. We will open at 12PM on September 28th to October 28th. Please always, check the weather before coming out. If rain is in the forecast, we highly recommend wearing clothes and footwear that you’re not afraid to get muddy. Also, we are bringing back the haunted hayride on October 19th, 20th, 26th and 27th. You can click on the Activities page for more details including specific operating hours and prices. 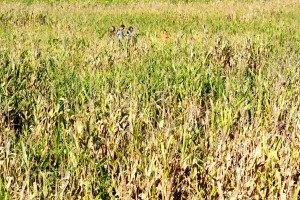 What is a Corn Maze??? A corn maze or maize maze is a maze cut out of a corn field. The first corn maze was in Annville, Pennsylvania. Corn mazes have become popular tourist attractions in North America, and are a way for farms to create tourist income. Many are based on artistic designs such as characters from movies. Corn mazes appear in many different designs. Some mazes are even created to tell stories or to portray a particular theme. Most have a path, which goes all around the whole pattern, either to end in the middle or to come back out again. In the United Kingdom, they are known as maize mazes (“corn” in British English is generally taken to refer to wheat), and are especially popular with farms in the east of England. These mazes are normally combined with other farm attractions of interest to families and day trippers. 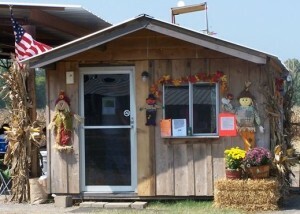 Some of these attractions include hay rides, a petting zoo, play areas for children, and picnic areas. Each year a few of the mazes are featured in national newspapers and TV. In the U.S., corn mazes typically are cut down circa the first week of November. Have your next birthday with us! Posted in Updates	| Comments Off on Have your next birthday with us!